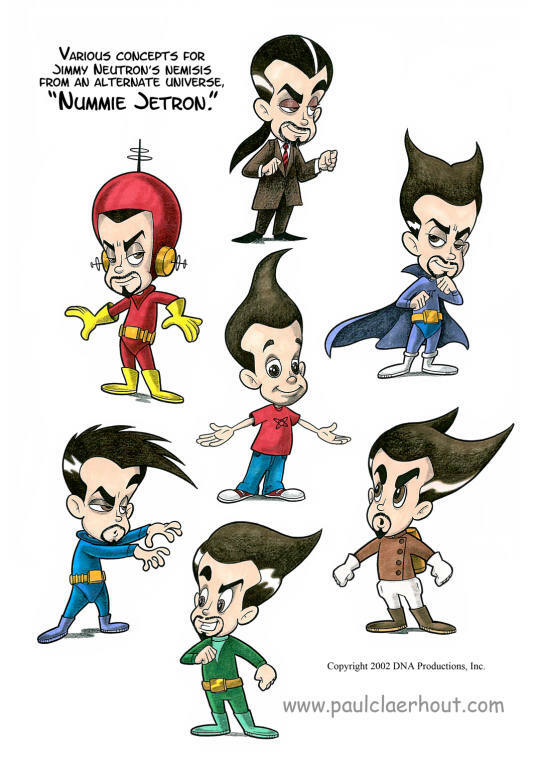 This was the first concept art for "Jimmy Neutron". 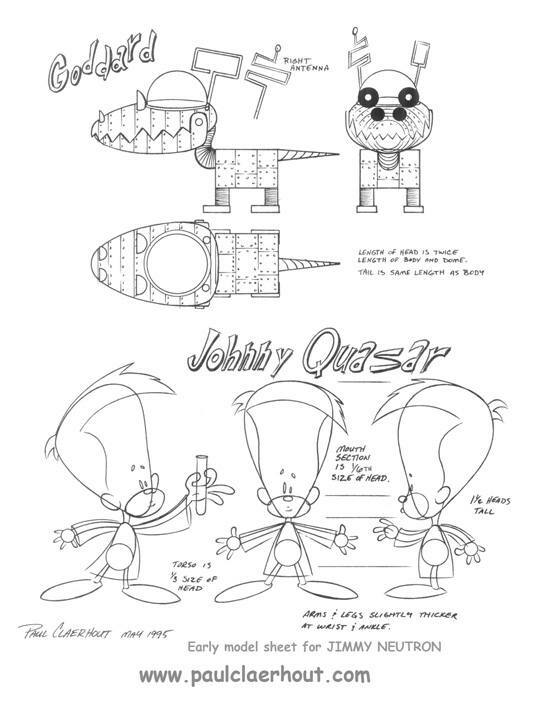 The original title for the project was "Johnny Quasar" and was a short film by the series creator, John A. Davis. 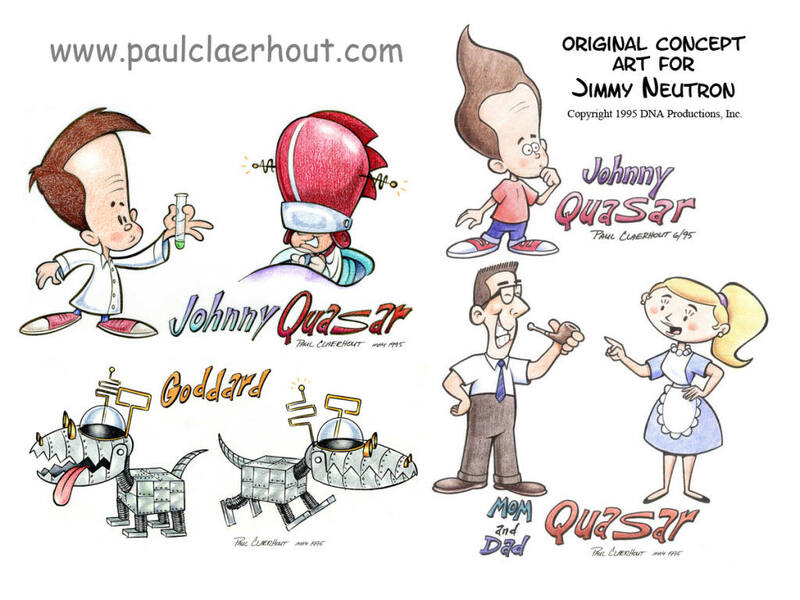 Some more early Jimmy Neutron concept art. 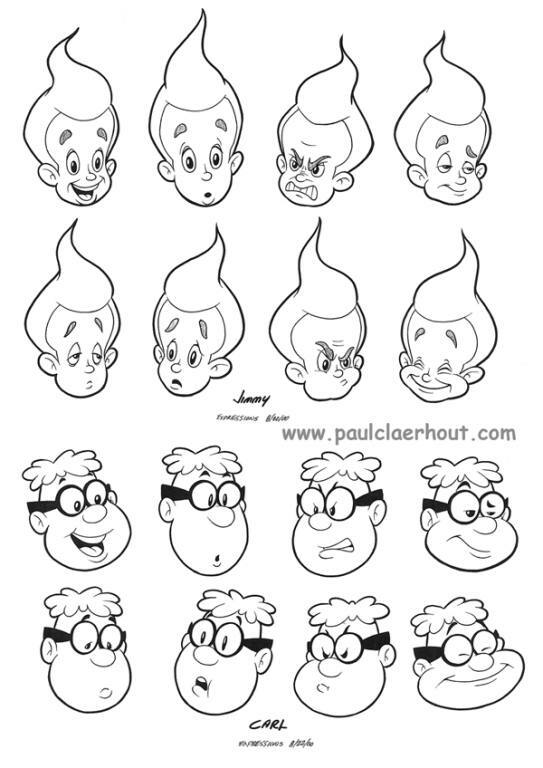 An early Jimmy/Goddard model sheet. Later Neutron designs were in collaboration with Keith Alcorn, Bob Eggleton, and Joe Riley. 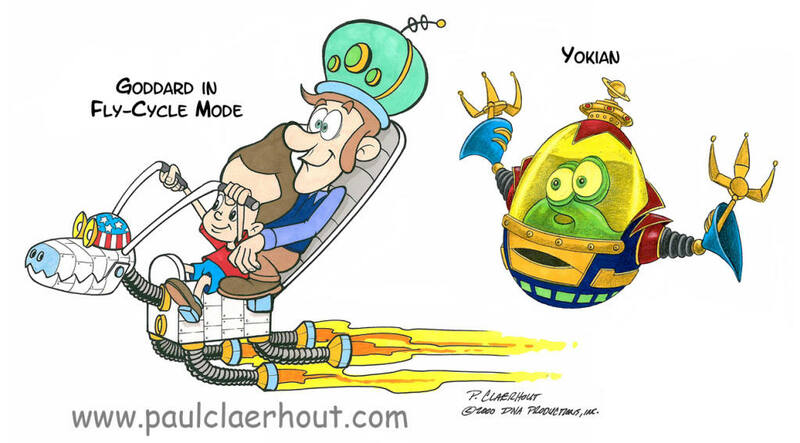 Goddard in "flycycle" mode and an early "Yokian" concept drawing for the Jimmy Neutron movie. Most of the Yokian designs were based on the wonderful concept art by Bob Eggleton. 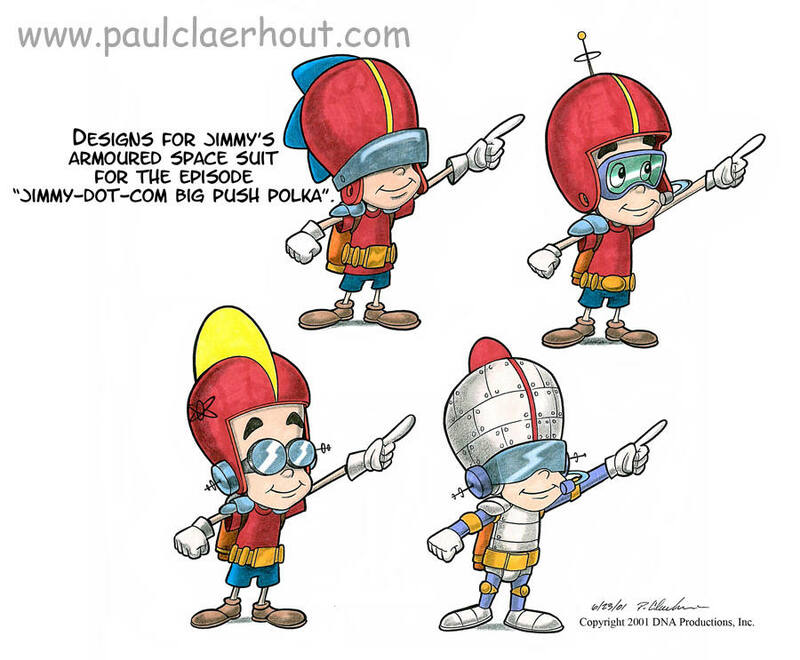 Concepts for Jimmy's rocket suit. Jimmy's evil nemesis from an alternate universe, "Nummie Jetron". 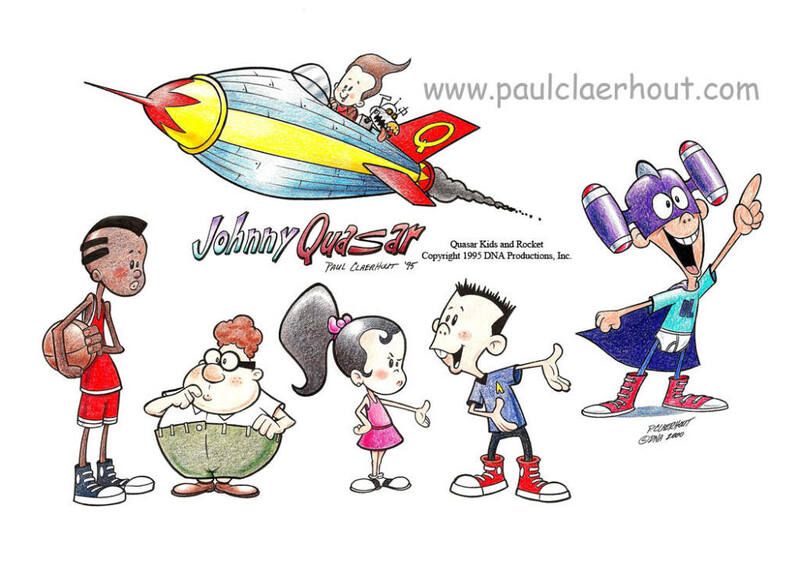 Characters I designed for a proposed spin-off from Jimmy Neutron based on the Ultralord/Robofiend characters, which were originally designed by my good friend, Joe Riley. 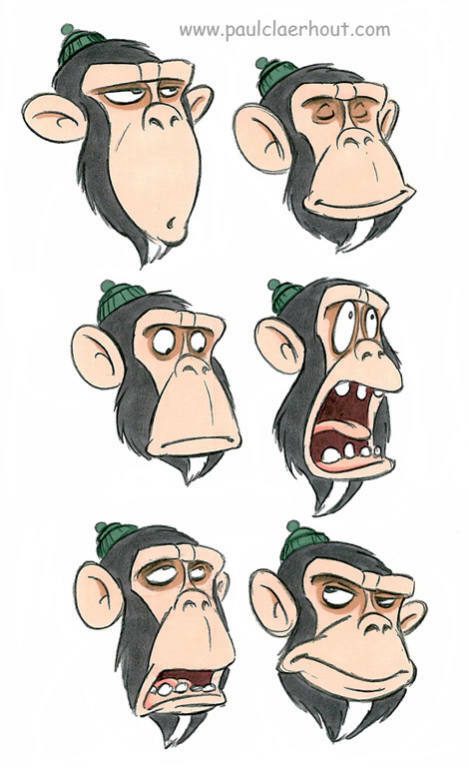 Some early expression sheets used to guide the animators and modelers. 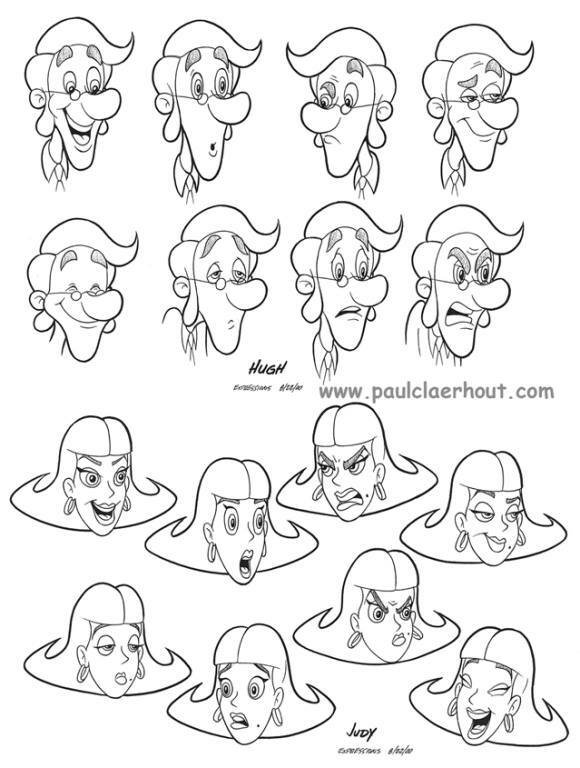 Model sheets for Mom and Dad Neutron were based on designs by Keith Alcorn, who was also co-producer of the project. 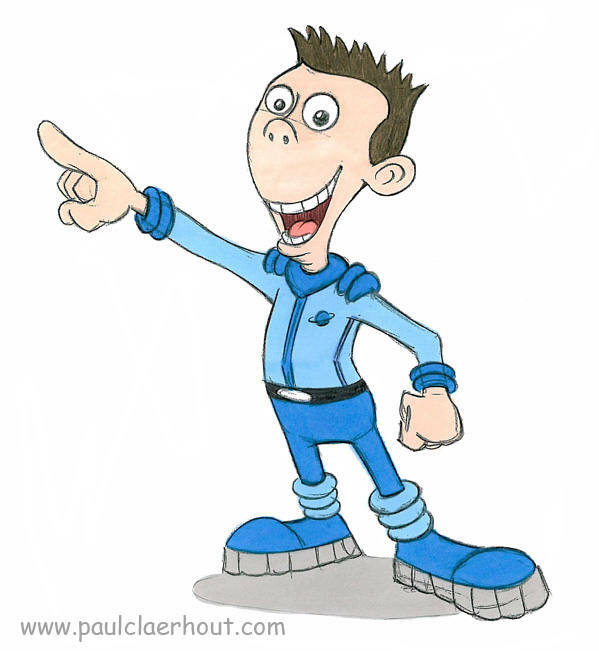 Sheen's new look for his spin off series PLANET SHEEN. Sheen's sidekick "Nesmith" from PLANET SHEEN. 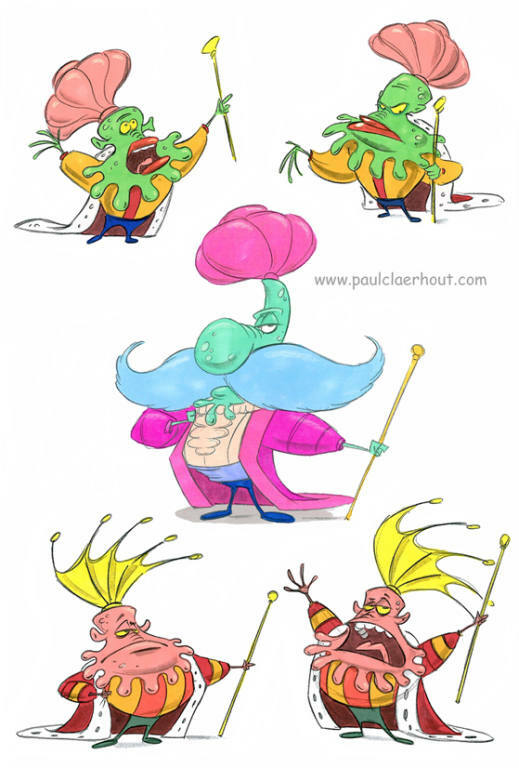 Some early designs for the Emperor of Zeenu on PLANET SHEEN. 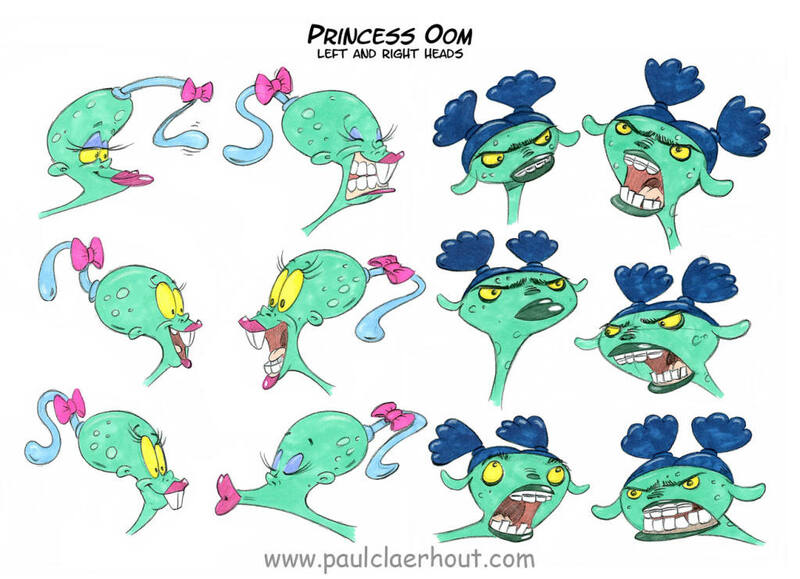 Early designs for Princess Oom on PLANET SHEEN. 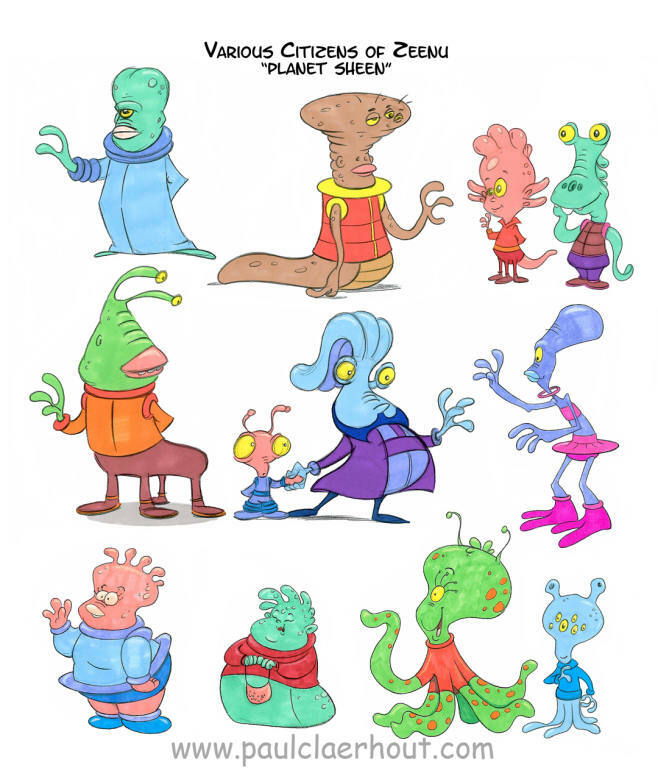 Various characters that populate the planet Zeenu on PLANET SHEEN. 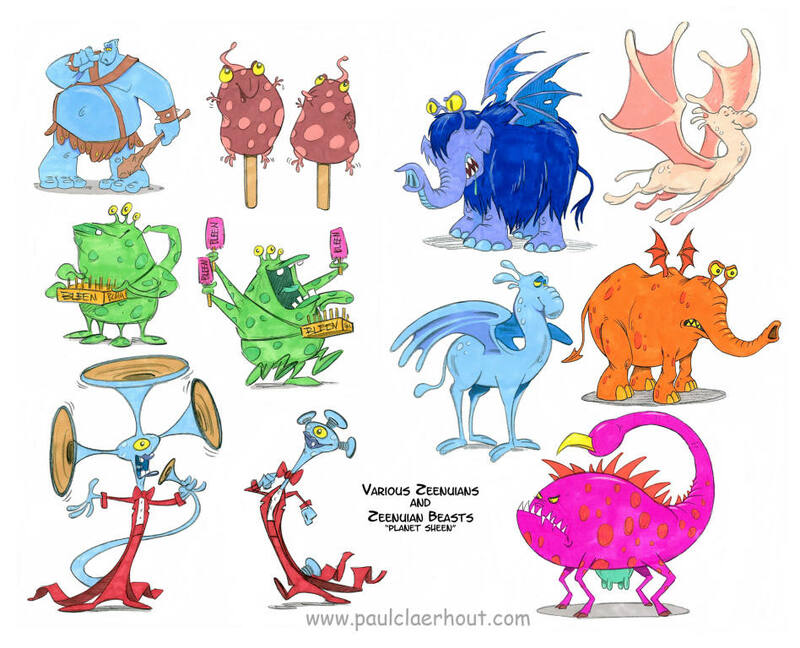 More "Zeenuians" from PLANET SHEEN.